Assign the Evaluators and Authors in the evaluation, as normal. 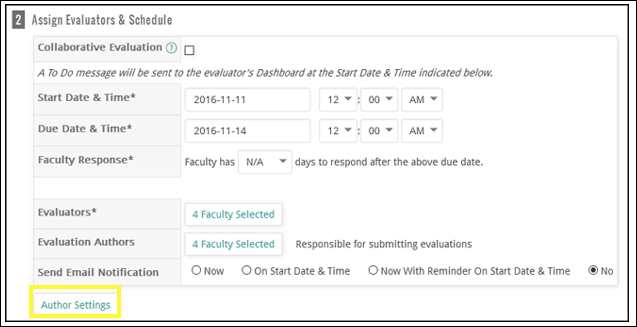 Edit the evaluation and click the Author Settings button (under2 - Assign Evaluators & Schedule). A table appears with the Evaluatees and Authors. Select the appropriate role for each evaluatee/author. The options are 'Author' , 'Evaluator', and 'None'.